There are some amazing things to do in New York in September, just as the summer is behind us and everyone is back to school and work. September in NYC is a delightful time of year to enjoy a meal or cocktails outdoors, watch football season kick off, baseball season wind down and shop til your heart’s content for all the season’s newest fall fashions. Even though the sun dress, sensational summer season winds down, the culture of New York in September remains delightfully alive! It is the official closeout of summer and beginning to a cozy fall, so what better way to end the summer than with a couple of bangers. The best things to do in New York in September include festivals, food trucks, art events, new performances, family-friendly events and a lot of fashion. Celebrate September at different culture festivals, pop brews on labor day weekend, Snapchat the latest and greatest at Fashion Week and much more. Check out all the Best September Events in New York City. 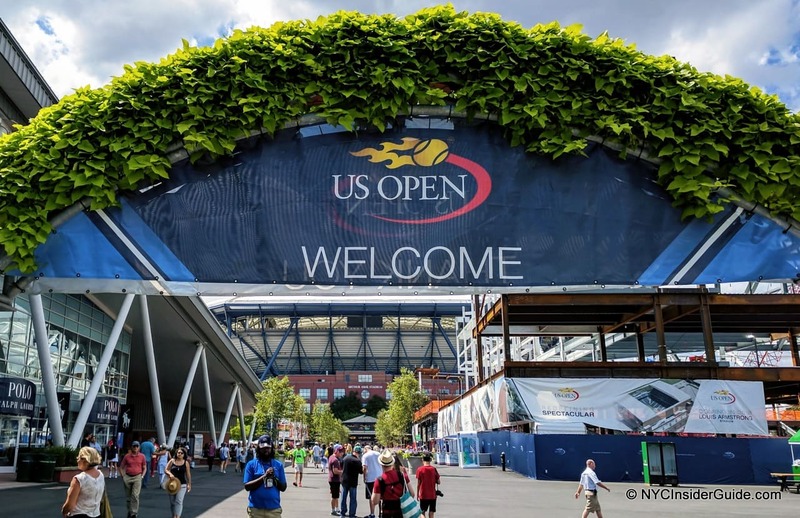 The US Tennis Open, San Gennaro Festival, Broadway Week and Fashion Week. The new Broadway season kicks off with Back to Broadway month, and we check the critic’s reviews in anticipation of the hottest new shows. When was the last time you turned down a FREE ticket of your choice to a NYC museum? Probably never. NYC has a natural talent of creating the most aesthetically pleasing museums and attractions you most likely never imagined. While many of the museums are free, The Smithsonian produced “Museum Day Live”- a FREE draw that grants 2 FREE admission tickets to designated museums around New York state that usually cost! On a budget, its okay! Don’t let money rob you from experiencing life in the most fulfilling ways! 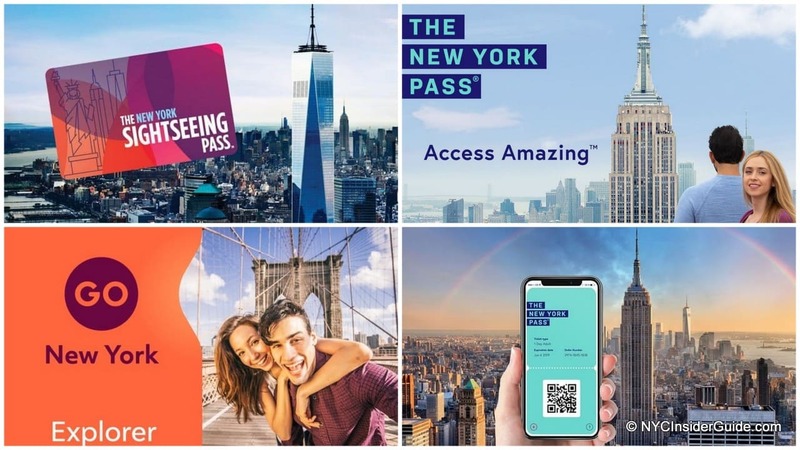 Click How To See New York City Museums for Free for more details and Free NYC Museum Admission for Military Families for more ways you can make the most of your NYC experience. Celebrate with locals and many more as they bring their culture to life with home-style grubs and dishes, blocked off parades, music galore and overall love for their backgrounds. Head over to West 46th Street to the largest Brazilian Festival, Brazilian Day in NYC’s Little Brazil. Next, join millions in Little Italy each year for the Feast of San Gennaro, an 11-day festival where you’ll find honorary music, plates of manicotti, cannoli and other Italian dishes. While you’re at it, check out the West Indian Parade in Crown Heights, Brooklyn where you’ll find yourself shaking your stuff to Reggae, Calypso, and steel drums all while enjoying a beef patty! They don’t call NYC the melting pot for nothing! 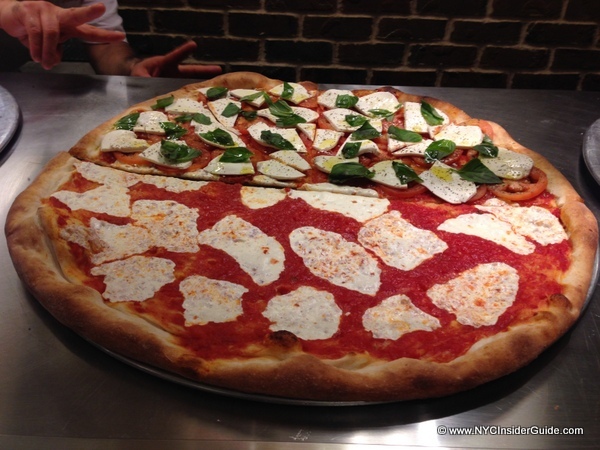 See NYC Little Italy Guide to see where you can experience your culture! September 9/11. Inspirational, unforgettable, and forever a memorable day for New York City and the globe. The City dedicates the Tribute in Light as a creative, inspiring tribute to many who fell victim and those willing to serve in a time of crisis. With a 60 mile radius, two smashing blue beams of light are casted in the sky and can be seen from just about any rooftop in the city from dusk to dawn. See 9/11 Anniversary Events NYC for more details and events. And checkout NYC Rooftop Hotels to find out where you’ll be spending 9/11 to witness the light magic. Did you know the first Labor Day took place in 1882 in New York City under the direction of the city’s Central Labor Union? 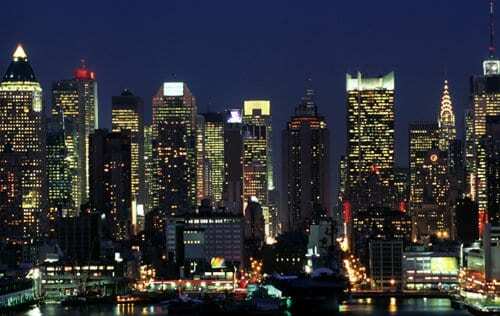 Yayy New York! Another score for the Big Apple. Labor Day came about because workers felt they were spending too many days and hours on the job. What better way to end the summer than with relaxation? Check out What to do Labor Day Weekend in New York City for more events. How many foods have you indulged in while walking NYC streets? If you reply not many, your taste buds haven’t lived yet! NYC is well known for their delicious food trucks and September is the best time to check them all out! “The red carpet gala for New York’s pushcart heroes”, is what most people hear and refer to as the Vendy Awards, making it one of the best Things to do in New York in September. Bring the family and meet the city’s hottest sidewalk chefs as they celebrate their love of food. The creative food fun is hosted at Governor’s Island where you’ll cast your vote, and nominate the best food truck, stalls, or pushcarts that knocked your socks off! Click here to nominate for and buy tickets to the Vendy Awards 2018! Visit our NYC Restaurant Guides to find more spots to satisfy your every food need. Unicycle-a cycling mystery wonder and beloved hobby for millions. Forget March Madness, how about four days of September’s One-wheel madness?! Produced by Bindlestiff Family Variety Arts, Inc., the New York City Unicycle Festival brings you the entertainment of watching pros long distance rides, play hockey, basketball, sumo and much more! Be a part of the outdoor fun and participate in the learn-to-ride area! If 1 wheel isn’t your style quite yet, don’t let that stop you! 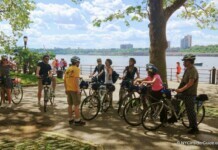 Check out NYC Hotels with Free Bicycles so you can ride along with all the one-wheeled fun! Fashion and NYC are literally one. Remember to bring a selfie stick, delete apps to gain enough storage on your smartphone, and dress accordingly as you waltz your way into any fashion show, creative event, or backstage VIP areas…you never know who you’ll run into! Check out NYC Sample Sales, New York Shopping Tours, and New York Fashion Week to stay up to date with NYC latest refined designer looks. September may sound a lot like summer, but with beautiful weather for more than half the month and highs of 80F, why not have fun like it’s mid July! Any New Yorker will attest to the beginning of the month and Labor Day weekend being pretty sticky and oddly satisfying. As night time approaches the cooler air starts to set in, dropping degrees to mid-60s. After Labor day weekend expect the streets to clear out a bit (but not too much, after all it is New York) as for many, September means new school year, going back to work, and for the majority, adulting. This month allows you to formally meet the cooler weather as it gradually takes you into the mid-70’s during the day and mid-50s at night during mid September and lastly, “Hello, 70 and below weather” for the last week. What a rush! It’s best to pack a light long sleeve shirt or invest in a casual, comfy cardigans as an effortless chic third piece for longer nights out! Top of the Rock, Empire State Building or One World Observatory? Which is best and, if we have to choose, which should we visit? There is no easy answer, but here are some facts to help guide your choice. Top of the Rock - (67-70 floors) Best for sweeping 360° vista views, including of the Empire State Building and Central Park. Shorter lines and cheaper than the ESB. Do you know how many attractions and tours let you skip (most) of the lines and be treated like a VIP? Save HOURS on your NYC Vacation. One of the best parts of NYC is that what is fun for kids is usually just as much fun for adults. 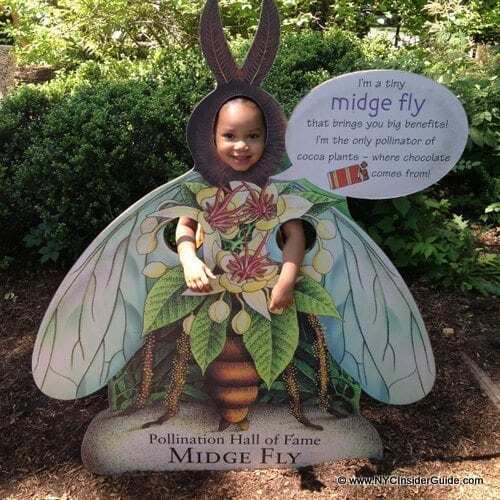 If you are joining us in NYC for a family vacation, then please read all about our local kid's favorites, along with special tips just for visitors. See All: Visiting New York with Kids. There are tons of free things to do in New York all day, every day! Tours, attractions, museums, events, shows, sports, movie and more. Kids, adults, outdoors, indoors, active, lazy...you name it! 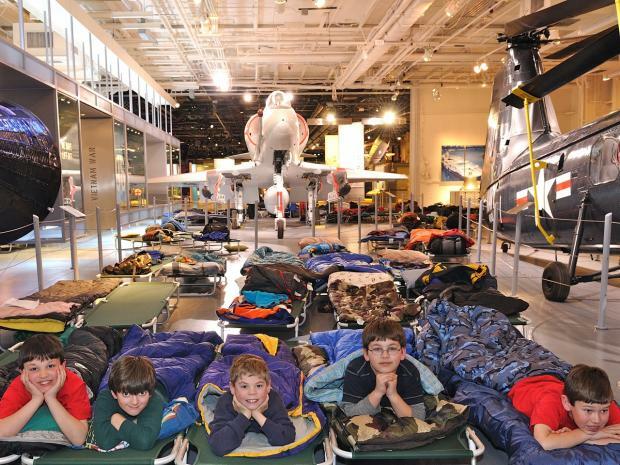 Just a few times per year, the Museum of Natural History lets you sleep over!!!! And yes, it's just like the movie! Evening and morning snacks, cots to sleep on, a flashlight fossil fact-finding mission, live animals, private museum tours and more. This is an authentic NYC experience you and the kids can't miss! Ages 6 - 13, + an accompanying guardian. 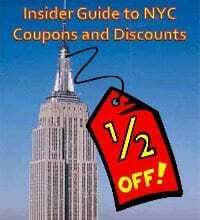 New York City Coupons and Discounts are available for almost everything one can do in NYC: concerts, shows, Broadway, sports, events, tours, attractions, beauty and spa and much more! There is no shortage of pizza, bagels, street vendors, cupcakes, craft beer and cocktails, rooftops and mini food parks to explore and so many more food choices in the five boroughs, along with wonderful guides who can't wait to show you them all!!!! A Slice of Brooklyn Chocolate Tour - Explore and sample the world of fine Brooklyn Chocolatiers from Valentino Pier to Cobble Hill, Red Hook to Carroll Gardens and beyond. 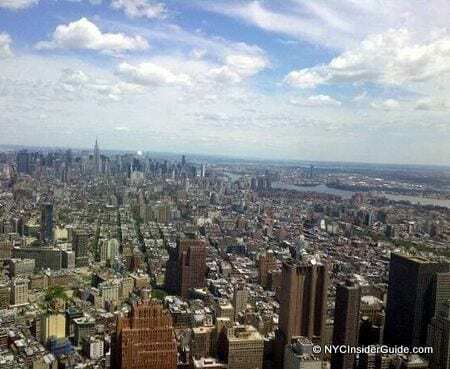 Where to find celebrities in NYC or which celebrities are living in NYC today are common questions by all, but celebrity sightings in NYC are way easier than you may think and happen all the time. You will, of course, see them on the subway, in Central Park, at the gym, in restaurants, at all the current hotspots, at shows and more. 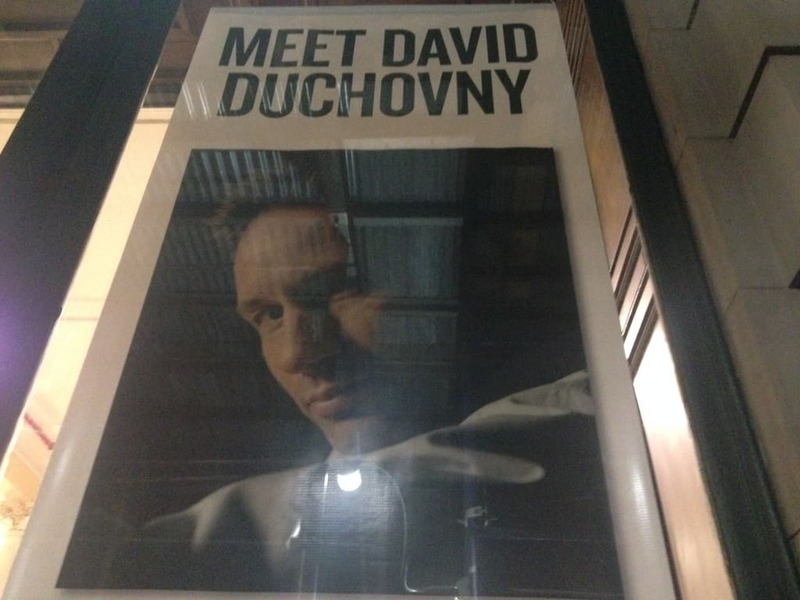 But here are some unique ways to see celebrities all over the city.